You say it shoots well. What's your group like? For shooting out to 125 yds. I don't think you need to free float the barrel. A good scope and light trigger pull. A descent light preferably switch activated. Yeah getting an aftermarket trigger is on the list down the road. Although I didn't need to i free floated the barrel already. 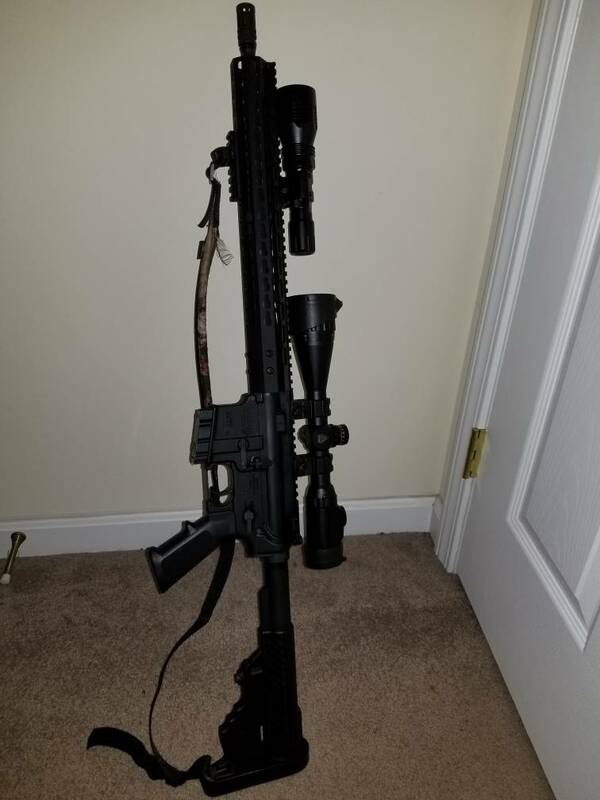 I just threw a 3-9×40 utg scope on top of her that I had laying around. Have a nightsnipe light mounted on it too.